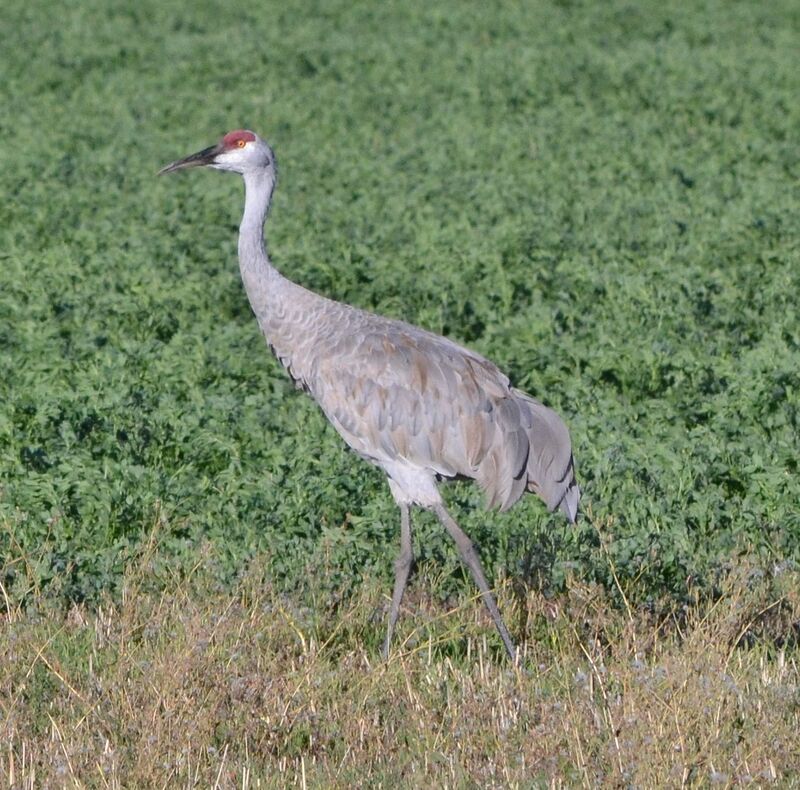 One recent morning about a mile from our house (Lookout CA) a “construction” of sandhill cranes was feeding at the edge of an alfalfa field. They were beautiful in the morning sun. The sandhill cranes’ red crowns glowed in the early light and the rusty blotching on their grey feathers was clearly visible. Although we were awed by the cranes’ beauty, our first thoughts were that the cranes had not all departed yet for their wintering grounds. They seem to be late in leaving again this fall. The sandhill cranes that breed here in Northeastern California probably winter in the Central Valley of California, although they could travel as far as Mexico. Leonard and I would welcome the sandhill cranes as year-long residents, however, our winters are probably too severe. We are happy though that they seem to again be extending their stay. This entry was posted in Birds and tagged bird migration, Grus canadensis, nature photography, sandhill crane. Bookmark the permalink. I was privileged to see a sandhill chick in August. This was only the second one I have seen in the 19 1/2 yrs I have lived here. You are fortunate to have seen a chick. I keep attempting to get a picture of young sandhill cranes, but have had only marginal success – nothing I deem worthy of a post. Some day when I least expect it I will get that elusive crane chick photo.